The euphoria generated around the biopics of Telugu political figures, which were released across hundreds of movie theaters earlier this year, disappeared so fast that no political party has dared to re-release these movies after the announcement of the poll schedule, apparently fearing a negative publicity if theaters go empty. Between January and February, a two-part biopic on former chief minister and Telugu Desam Party(TDP) founder N T Rama Rao and a biopic on former Congress chief minister Y S Rajasekhara Reddy were released in Andhra Pradesh and Telangana apart from some overseas markets where Telugu migrants live in large numbers. Film actor and TDP legislator Nandamuri Balakrishna essayed the role of his father in movies titled NTR Katha Nayakudu and NTR Maha Nayakudu, while Malayalam super star Mammooti played Rajasekhara Reddy in the movie Yatra, which was named after the late politician's 1,300 km political padyatra that helped him win 2004 elections defeating Chandrababu Naidu's TDP. There was a media build up with periodic leaks about the cast and the story line of these movies for months together in the run up to theIR release. It was believed that these movies were produced to improve the prospects of the ruling Telugu Desam Party and the rival Y S R Congress Party in the ongoing assembly and Lok Sabha elections. Even as these two movie projects were conceived in competition with each other, popular Telugu director Ram Gopal Verma added a twist to this simple story by declaring that he would produce a biopic on NTR essentially from the perspective of Rama Rao's second wife Laxmi Parvathi, which means showing Naidu as the villain in the dead leader's life. As Verma openly said, even before his movie titled Laxmi's NTR released in the first week of this month , the release of Yatra, as well as, RGV's movie before the elections were obviously intended to help YSR Congress chief Y S Jagan Mohan Reddy to win the elections. The purpose of Katha Nayakudu and Maha Nayakudu in which Naidu was shown as a rightful successor of NTR's legacy, was to help TDP retain power in AP by reinforcing Naidu's political image. Scheduled for release closer to the elections, RGV's movie was successfully blocked by the TDP in Andhra Pradesh. The party had approached the AP high court against the movie's release during the elections even though it was screened in theaters in Hyderabad and other places following its release on March 29. Although no restrictions were placed on the screening of the other two biopics, the producers did not make any attempts to re-release their movies in Andhra where TDP and and YSR Congress party are pitted against each other in a do-or-die electoral battle only because they are aware of a poor box office performance when they were first released, according to movie analysts. Bala Krishna's Katha Nayakudu reportedly earned around Rs 20 crore in box office collections after it was sold for Rs 80 crore to buyers on the back of a huge pre-release media hype. Buyers reportedly lost almost Rs 50 crore - Rs 60 crore on the movie. The box office collections of the bio pic's second part, NTR Maha Nayakudu, failed to cross even Rs 5 crore revenue, according to reports. Though Yatra evoked a slightly better response among the audiences for various reasons and ran a few days more than NTR's biopic, in the end, the supporters of both the movie franchises had to distribute movie tickets free of cost to people in Andhra before removing them altogether from the theaters a couple of weeks after their release. 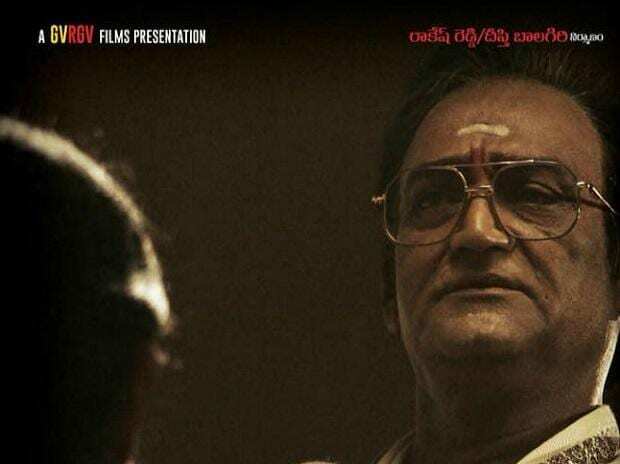 Even Laxmi's NTR, which generated so much of media hype because of the 'controversial' story line, disappeared from movie theaters in Hyderabad just before the polling day, an indication that political biopics struggle to make any impact at the box office. On why these movies did not run to full houses even for one or two weeks, film critic Nageshwar Rao says that people did not buy what the movies intended to convey or show because of the timing of their release and the perceived political motives behind them. "Its not that biopics per se do not evoke good response at the box office. Take for example the movie Maha Nati, a biopic made on the life of Telugu movie actress Savitri, released in Telugu and Tamil last year. The picture not only received critical acclaim, but also ran successfully for weeks across AP, Telangana and Tamil Nadu," Rao told Business Standard.